Young Virat Kohli and Umesh Yadav emerged the notable bright spots in an otherwise disastrous Australian tour, during which India's reputation as a cricketing giant took a beating. If the 0-4 humiliation in the Test series was not enough, India, after a decent start to the tri-series, are almost on their way out of the One-day tournament, too. In all likelihood, the World champions in the 50-over format are a week away from bringing the curtain down on their disastrous summer Down Under. India have two matches remaining in the One-day series, but, critically, it's the final game against Sri Lanka at Bellerive Oval, Hobart next Tuesday, which it must win to extend their stay. Even if India win against Australia on Sunday, Sri Lanka's win in Hobart will give them a one-point advantage. It then wouldn't matter even if the Lankans lose their final league fixture at Melbourne on March 2. India have 10 points to Lanka's 11 and even if they win against Australia in Sydney, Sri Lanka's win next Tuesday would still give them a point's advantage over their neighbours -- unless India somehow manage a bonus point against the hosts on Sunday. With hopes fading by the minute, it's time to take stock of the damage the present tour has done to Indian cricket and its cricketers. Sachin Tendulkar, for instance, is still waiting for his 100th century. -Sehwag, Tendulkar too 'slow' for ODIs? Eight innings of Tests and five in the One-day series have yielded only 377 runs and a mere two half centuries. It's now only a few days to a year when he slammed his 99th international century -- against South Africa in Nagpur in the World Cup last year. Rahul Dravid, in all likelihood, will still be nursing his wounds back home in Bangalore, for, in the four Tests, he practically chose only one way to get out -- bowled. In the process he became the batsman most dismissed in this manner in the history of the game. His tally of runs and average, 194 at 24.25, sticks out like a sore thumb in what otherwise is a magnificent career. VVS Laxman, the third of the batting trinity, is now almost unwanted in cricket circles -- a far cry from the time when it was difficult to imagine an Indian Test team without his presence at number six position. He had 155 runs from eight innings and seemed drawn like a magnet to deliveries that pitched up and swung away from off-stump. Virender Sehwag, whose presence at the crease left the quick bowlers with sweaty palms, was a relic of his attacking self. For someone who has two triple tons to his name, he could never cover the swing of the ball. Dismissals usually happened inside the first five overs, and, lately, he's even giving catches to point and cover. While his fans were looking at him to enter the next phase of a remarkable career, Sehwag, instead, has been completely dismantled by the Australians. Gautam Gambhir is on a redemption mission in One-dayers, but he was no better in Test matches, hopping and poking at deliveries leaving him on the off-stump. He, however, now is dong a good job of repairing his tattered reputation. An international century though hasn't come for more than a year. Skipper Mahendra Singh Dhoni is being spoken of fondly in the last few days. It's because of the surety with which he stood up in two run-chases at No. 6. But Tests were a different story. He barely crossed 100 in Tests and has already been banned twice for over-rate transgressions in Tests as well as in the One-day format. Dhoni's captaincy is no longer widely accepted and his defensive field placements in Tests drew enormous criticism -- as has been his decision to rotate the top three batsmen. Most of the younger brigade have done little better. Rohit Sharma has lost his fan base with his repeated failures in One-day series. Suresh Raina still hasn't convinced many that his uncertainty against short-pitched deliveries is a thing of the past. Ishant Sharma was a monumental failure in Tests and it hardly helped that luck marked him out. Ravichandran Ashwin is now doing alright against Sri Lanka in the triangular but he has a long way to go and his fielding is an eyesore. Kohli, so far, the best! Kohli, by far, is the best Indian batsmen on the present tour. After setbacks in the first two Tests, he hit his stride in the Perth Test and hasn't looked back since. 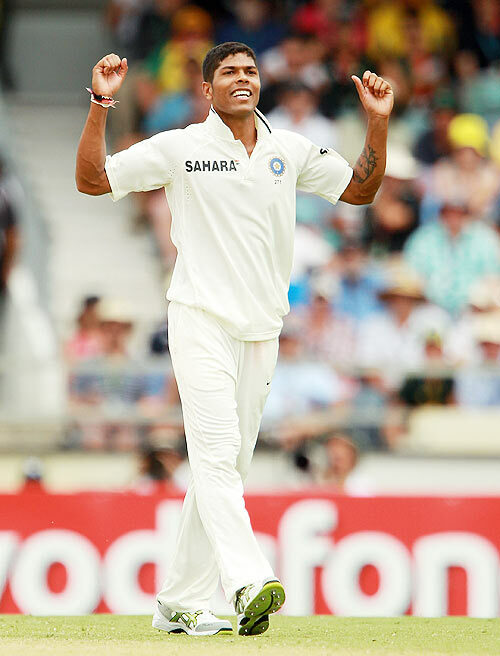 Yadav is another who is still hurling 150kmph thunderbolts despite excessive workload on the present tour. Coming back to the negatives, as if all this was not enough, there is now dirty linen being washed in the open by the seniors. Gautam Gambhir criticised Dhoni for dragging a game along while the latter bemoaned that none of the top order is anchoring the innings. The rotation policy has also caused a lot of heartburn among the seniors. It hardly got better after Dhoni shared with media that the three openers could cost India 20 runs in the field. 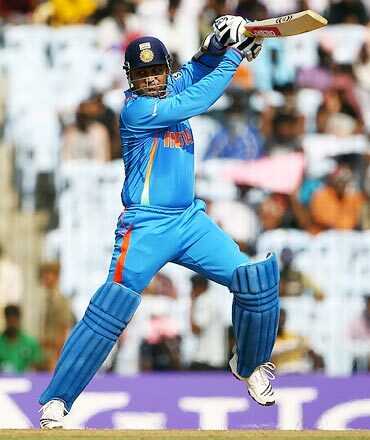 Sehwag, on his part, claimed he hasn't been told that the seniors, including him, were being viewed as slow fielders. A magnificent era, however brief, is now nearing its end. Dhoni wrote some of the brightest chapters of Indian cricket with his brand of captaincy and batting. Alas, he is no longer seen as a reliable Test batsman. It doesn't help Indian cricket that there isn't anyone who has the credentials to replace him as a Test captain.